We have only 7 short weeks left of the 2015-16 financial year and NOW is the perfect time to organise those last minute financial affairs. 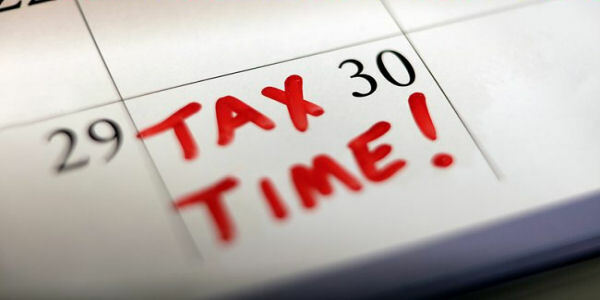 To ensure you are on top of tax time here are our top 5 tips for preparing for June 30. Make time now to see your accountant or adviser. These professionals are especially busy come tax time so securing an appointment now is essential. If your income has been high or you have sold assets that triggered a capital gain event this financial year, then your accountant or adviser will ensure you take advantage of time critical opportunities. Remember, fees for tax advice may be deductible and you may already be paying an advice fee to your adviser – make use of these opportunities! Having all your information in one place come tax time will streamline the entire process. Collect what receipts, statements and documents you can and be on the lookout for annual tax statements as they become available after June 30. Better yet, implement a simple system that allows you to track this paperwork throughout the year. Even try going paperless if hardcopy documents are not required. Certain expenses can be brought forward 12 months and paid in the current financial year. This works best when your tax bill is relatively high compared to other years. Examples of such expenses may include interest on an investment loan or premiums on an income protection policy. Depending on your situation, it may be worthwhile topping up your super. This is a complex area and factors such as your age and income play a big role in determining whether extra super contributions make sense – not to mention the proposed changes in the 2015-16 Federal Budget. Your financial adviser will be able to provide a solution that is tailored to your situation. If you have been thinking about giving to a deserving charity, doing so prior to June 30 is ideal. When you donate to a charity or Deductible Gift Recipient your generosity not only provides financial assistance to others, but can also entitle you to a tax deduction. A lot of hype tends to surround the end of financial year which in reality only works to increase the stress associated with tax time. Tackling your tax matters 7 weeks out will help streamline the process and may lead to a larger tax return! The advice contained in this article is general in nature and is not tailored to your specific needs or circumstances. Before taking action it is important you consult a financial adviser or other professional, we can help. All figures and legislative references are current as of 11 May 2016.